We take the issue of privacy and security of data very seriously. Any personal data submitted to Quality Chair Cover Hire will not be sold to third party suppliers for direct marketing. Quality Chair Cover Hire also complies with current data protection requirements, and will store and process information in full compliance with your rights under the Data Protection Act. If you wish to know what details we hold about you, or to have your details removed from our database, please email us on sales@qualitychaircoverhire.co.uk and we will action your request. 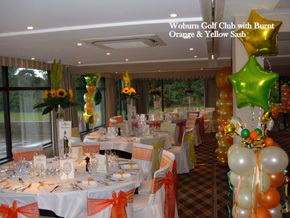 This is just a quick email to thank you for the wonderful decoration, and display in the room.. it looked amazing.. As soon as I get the professional photos, I will send some to you.. Everyone commented on how good the room looked.. Thank you ever so much.. 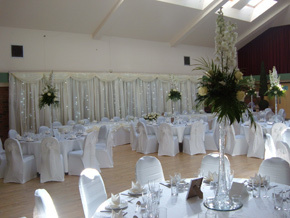 I just wanted to say thank you so much for the stunning chair covers and red carpet. The completed look was amazing and your covers were a perfect fit despite the slightly unusual shaped chairs at The Bedford Swan. 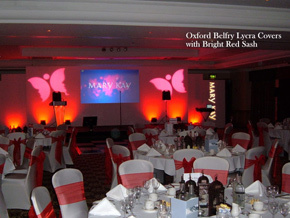 Your red carpet was so well-kept and vibrant; it made the ceremony room feel really special. Thank you also for adjusting your schedule to suit my particular timings – I really appreciated it and it helped me achieve everything I needed to on time. Your service was so seamless and professional I felt a sigh of relief when I saw you arrive and make a start as I just knew straight away they would be perfect and I didn’t need to worry. I was right.